Browse Artists and Groups J.E.H. MacDonald, R.C.A., O.S.A. James Edward Hervey MacDonald was a founding member of the Group of Seven. He was a member of the Ontario Society of Artists, the Royal Canadian Academy of the Arts and was active in the Arts and Letters Club, Toronto. MacDonald was born in Durham, England in 1873 and immigrated to Canada with his family when he was 14-years-old. He studied commercial art at the Hamilton Art School and the Central Ontario School of Art and Design (now OCAD) in Toronto. MacDonald worked as a designer at Grip Limited from about 1895 to 1912, along with Tom Thomson, Arthur Lismer and Frederick Varley, with a brief interlude from 1903-1907 when he worked at a studio in London. He resigned from Grip in 1912 to paint full-time, but worked as a freelance designer until 1921. 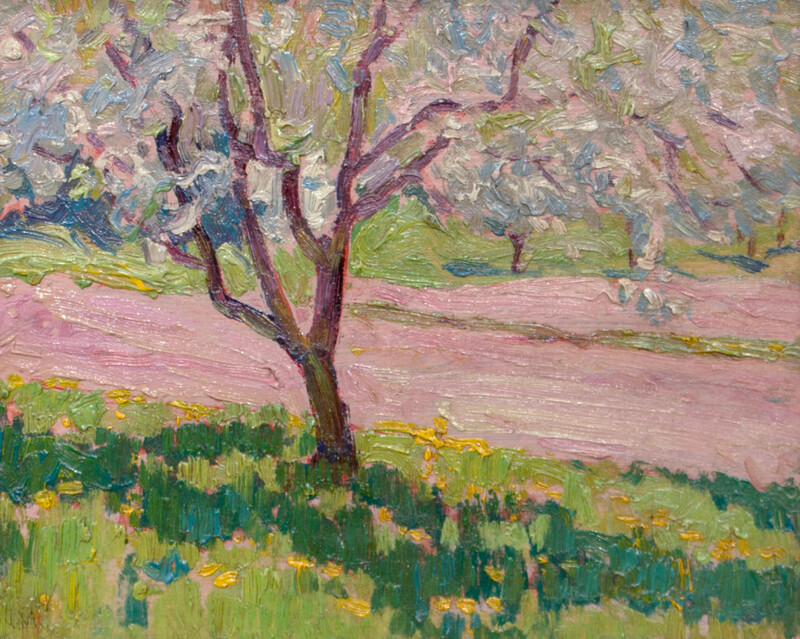 From 1921 on he taught at the Ontario College of Art, and became Principal in 1929. 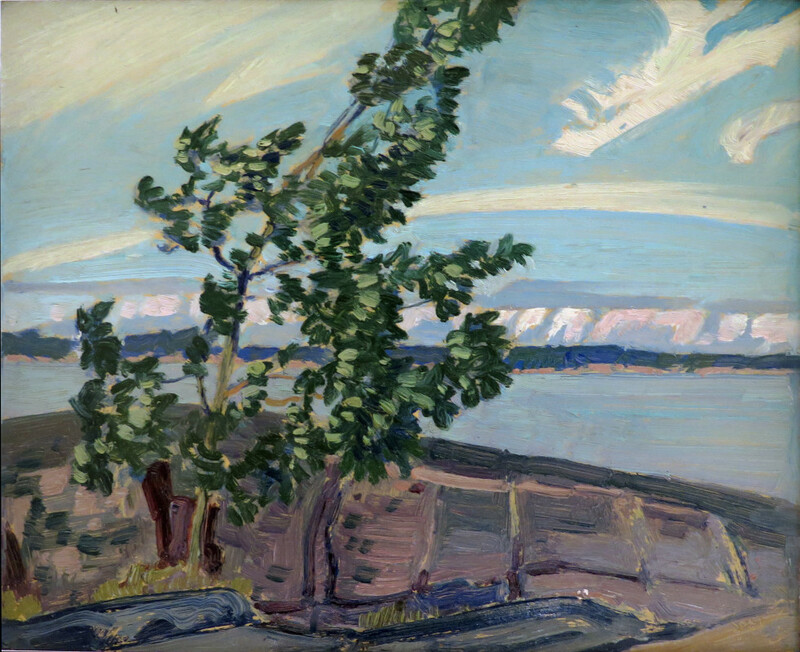 In the fall of 1918, and again each autumn for several years following, MacDonald travelled by train to Algoma, where he painted the sketches for some of his most important works. In 1924, he began travelling to the Rockies during the summer. In 1931, MacDonald had a stroke, and he and his wife spent the summer of 1932 in Barbados so that he could recover. He died in Toronto on November 26, 1932. Please send me more details about the following artist. J.E.H. MacDonald, R.C.A., O.S.A. inscribed in red ink in an unknown hand, "E 428 / 8 3/8 x 10 1/2"